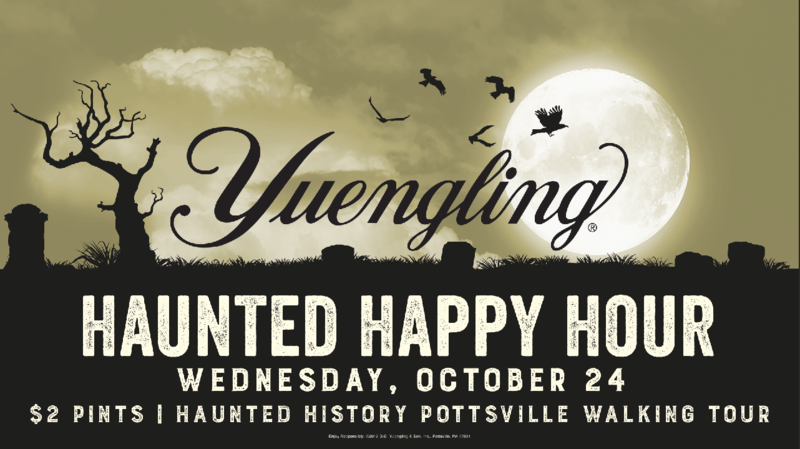 Join us for some “boos” during the full moon! Featuring $2 pints from 4-6 in our Tasting Room and apps by Roma Pizzeria & Restaurant. Experience Pottsville’s macabre past and haunted present with the Haunted History Walking Tour of Pottsville (starting in our spooky caves) from 6-7, presented by Schuylkill County Historical Society. Costumes are encouraged (prizes for the best!) and comfortable completely closed shoes are a must!